Before the ARW concert on Monday night, Kevin and Mark discuss how the three musicians performed together when they were all in Yes for the Union tour. 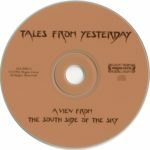 There’s also a two-part two pence dealing with Asia and Geddy Lee and an album review from Mark of the compilation record, Tales From Yesterday. Wow! What can Kevin expect fro ARW on Monday night? How did they get on live in 1991? What might be the differences now? I curious as to why you compared ARW to the Union lineup as opposed to their earlier ARW tour. For me it’s too different a band to make a good comparison. Of course A, R, and W are going to play differently when they’re in Yes (Union) and in ARW. I know you reviewed the 1st ARW tour already, but this, while good, was a stretch. Regarding Billy Sherwood, did you read some on the YouTube video comments for Yes’ performance of Heat of the Moment? Yikes. One guy named every wrong not he claims Mr. Sherwood played! But I think he’s be fine–but it is a lot of involved music to learn! I can’t wait to hear Kevin’s review of Monday’s show! I remember having this album many years ago however due to a nasty divorce that like my whole music collection was lost. I do however remember the album and I remember playing it and enjoying it. Mark I agree about Patrick Moraz,he brought a hole new sound much like Trevor Rabin I know I here the boo birds however If you listen to what Patrick did with yes the sound was and continues to sound much different. Just wanted to say I finally received my Dialogue book all I can say is if you did not order this you need to. It is absolutely hands down better in your hands than any pictures I have seen from the book. 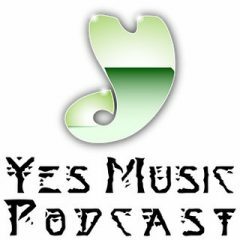 Loaded with all sorts of stuff that I believe would keep the Yes music podcast going for years to come. Great show gentleman , Kevin have a great time and don’t forget to enjoy the music first and worry about the podcast second. How are you my friend? Thanks for your comment. Yes.. Patrick certainly added a new element to the music of Yes. ..and while not everyone liked it….I really enjoyed it. I hope you get the album back in your collection. As for the Dialogue book…it is incredible…I really enjoy going through it. Key-tar: I remember Rick Wakeman dueling with Steve Howe during Starship Trooper in the TORMATO tour. Great fun. Not just in the 80s. Thanks for commenting. Your right ..he totally used it during the Tormato tour. My mistake. ..thanks for pointing it out. Tales From Yesterday: While I think the version of Roundabout was not great, I applaud bands taking a cover song in a new direction. Otherwise, what’s the point? If all the songs were note for note perfect, I think it would be really boring. True..what I should have said was that some artist are better then others at changing up songs in their own style. Like I said I think Peter Banks rework of Astral Traveller was great. Kevin Gilbert on “Tales From Yesterday?” Some guy??? He was the brains and voice behind “Toy Matinee.” A must-have for Yes fans. He contributed an excellent version of “Back In NYC” to the Magna Carta tribute album “Supper’s Ready,” which also had an excellent rendition of “Ripples” by Annie Haslam, who, of course, performed “Turn Of The Century” on Tales From Yesterday, with Steve Howe on classical acoustic guitar… it all just goes ’roundabout in circles, right? Sorry I’ve never heard of “Toy Matinee”…and I’m pretty familiar with a lot of bands from that time period. But I will take your advice and seek out their music…I’m not saying their bad…I’ve just unfamiliar with them. Thanks for pointing that out…always interested in hearing great bands. 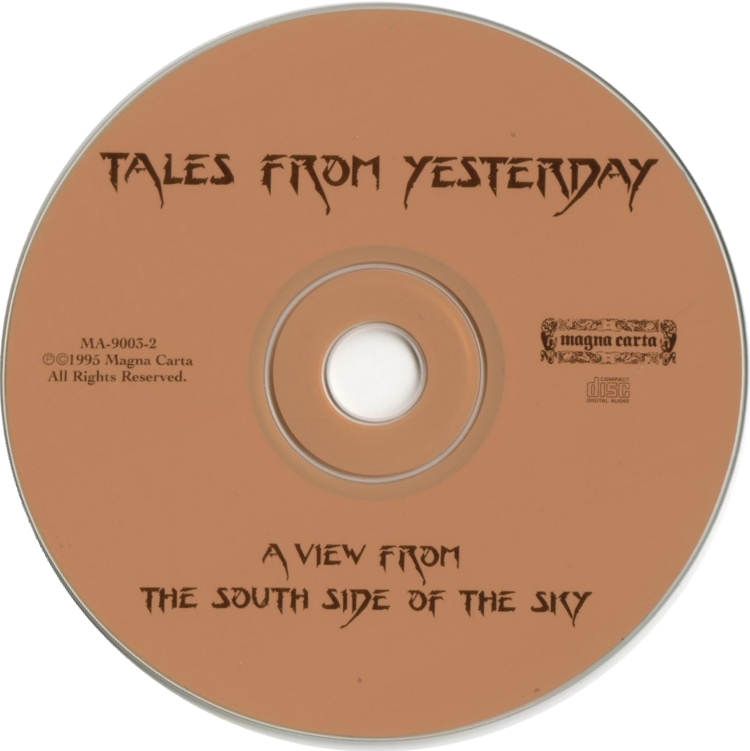 Just checked: Tales From Yesterday is available on Spotify so you can check it out easily. ARW: Kevin, you’re going to have a great time. I saw them on the last night of their NA tour and they are great. One of the things you both commented on was how some of the songs were done differently by ARW (using the YouTube videos as a guide). This is one of the things I enjoyed most about the concert. It was almost as if they were saying “We are NOT Yes and so we’re doing these songs differently.” I found it very refreshing. Jon Anderson was in great voice and Rick’s keyboards sounded amazing. I think Mark or someone else commented last week that one of the things that’s lost these days is the surprise of going to a concert. You can find out almost everything about the show on-line ahead of time. So, when you can go and hear things done a bit differently, it is nice. Yeah, that’d be me, Guy – there is just something lost when you can find out every thing about a concert you’re going to before you even get there, up to and including possibly watching the entire show on line… A little bit of surprise attack once in a while is a good thing! “Union” the album was pretty mediocre; “Union” the tour was fairly spectacular. Yeah “Union” the album is far from great. ..but the tour was great…at least the show I attended and the videos and bootlegs I’ve seen. There are a couple of good songs on the album. The concept of the Union lineup is what I consider to be ridiculous. Too many musicians and egos. The whole thing is still fragmented as has been highlighted in recent episodes. Frankly I’m tired of the politics, it takes away from what I remember once being a great band. I don’t need to comment on ARW – you got my concert review last Autumn, so I won’t try to steal any of your glory. As far as the Rock and Roll Hall of… whatever – I think – as Kevin mentioned – just about ANYTHING could happen… YES being inducted means that they WILL perform, so – Geoff is the current keys player, but he’s not an inductee, and Rick WILL be there… likewise, Billy IS the YES bass player now, but, again, NOT an inductee… and, really, if you are Geddy Lee and one of your most influential bands was there, could you really NOT get up there and play with them? It’s going to be a very interesting event. 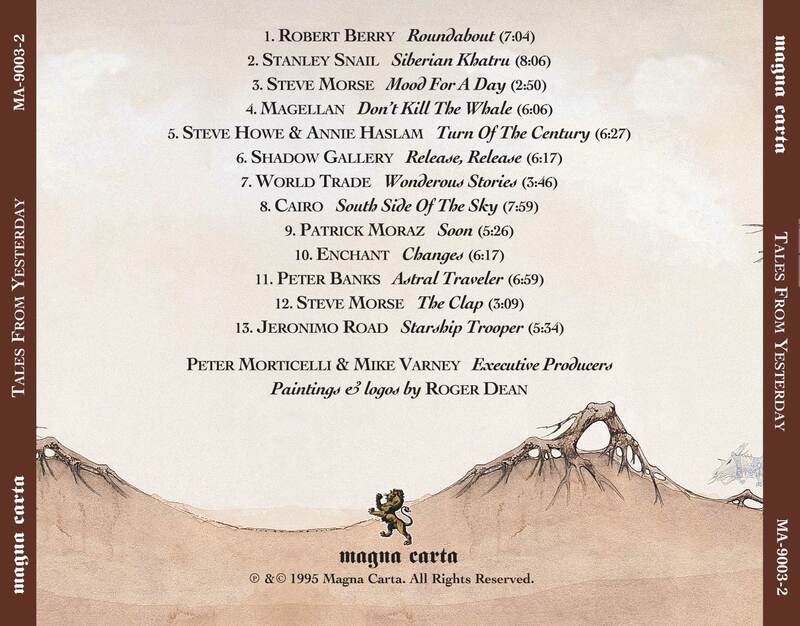 Now, to the main event – Mark’s review of “Tales From Yesterday.” Say what you will about Magna Carta… without them we would never have had Liquid Tension Experiment – an experiment that led to Jordan Rudess FINALLY joining Dream Theater, and who wouldn’t have wanted that? This “Tales” is one of my favorites – and, IMHO – one of the best tribute albums to come out of the nineties – a period of time when, as Mark noted, progressive rock music was in something of a decline (heaps of praise upon those of us who stuck that decade out!). The Rush tribute “Working Man,” Genesis tribute “Supper’s Ready,” and, to a lesser extent, the Jethro Tull tribute “To Cry You A Song,” (all from Magna Carta) and “Dragon Attack,” a Queen tribute (KEVIN!) are all in my music library. I agree with you, Mark, about Shadow Gallery’s ‘Release, Release,’ it’s just rather BLAH and the electronicky drums don’t help at all. They did a version of ‘Entangled’ on the Genesis tribute which is a much better effort, although, for some reason, instead of ending, it just fades out. I don’t recall anything about Jeronimo Road’s ‘Starship Trooper…’ Who are they, again? ‘Changes’ by Enchant, for me, suffers from the fact that ‘Changes’ was such a big hit that I’m just completely burned out on it, no matter who plays it – ARW included. ‘Wondrous Stories’ by World Trade and Patrick Moraz’ take on ‘Soon’ both seem rather pedestrian to me – despite the fact that this was probably the first time I ever heard Billy Sherwood on anything, AND I’m willing to bet that this version of ‘Soon’ may well be the only piece of prog music ever to have been recorded in Greeley, Colorado. On to Steve Morse and ‘Mood For A Day’ and ‘The Clap’ (it’s listed that way on the album ) – I have a hunch that there was not an awful lot of rehearsal involved on these two tracks – I get the feeling that he probably just ripped them off from memory. Steve was on board the 2017 Cruise to the Edge, playing with Mike Portnoy on the first day out – there were enough members of both Flying Colors and Transatlantic (with Neil Morse on keyboards) that they were able to cover tracks from both bands. You also skipped over Cairo’s cover of ‘South Side Of The Sky,’ which, while fairly straightforward, features some blazing guitar work from whoever plays – or played – lead guitar for this band. On to Peter Banks and his re-working of ‘Astral Traveler,’ upon which we completely agree – it’s an amazing display of Guitar Heroism; I always thought it sounded like what Trevor Rabin might have done with the song. Oh, my, how you just DO NOT LIKE anyone messing around with ‘Roundabout’! I admire Robert Berry’s complete re-working of the song – to the point where you don’t even know what the heck it is for quite a while! I like his take on Genesis’ ‘Watcher Of The Skies’ on the ‘Supper’s Ready’ CD even more, and he also did a completely straightforward cover of ‘Mission’ on the ‘Working Man’ CD – right down to the guitar solo at the end – pretty sure you’re familiar with that. Now: we completely disagree on Magellan’s cover of ‘Don’t Kill The Whale.’ First of all, come on, admit it – this is NOT the greatest YES song of all time – it’s actually pretty lame. So, these guys took it and turned it into what I think is a prog-metal masterpiece – especially when they drop into the down-and-dirty heavy-duty prog-metal midsection – I just love the power injected into what was a fairly middling YES tune. Give it another chance – sort of like Robert Berry’s ‘Roundabout’ – it may just grow on you. OK – so now we get to THE BIG ONE – ‘Siberian Khatru’ by “Stanley Snail.” I absolutely love this cover. I played it for a friend of mine who had known YES longer than I, and he didn’t even realize it WASN’T Yes until we got to the reworked jazzy midsection – he thought it was a digital remaster. You can’t get much better musicians than Mike Keneally and Nick D’Virgilio – Nick is listed as a “former member” of Spock’s Beard, BUT – he was there on the 2017 Cruise to the Edge, drumming away with Spock’s Beard! Kevin Gilbert seems to be a mystery to you, but he was an absolute devotee of Genesis’ Peter Gabriel period and contributed a marvelous cover of ‘Back In NYC’ to the Magna Carta “Supper’s Ready” Genesis tribute. Unfortunately, he died in 1996 at the ripe-old age of 29! Finally – and this is why I decided to go through the podcast backwards – does ANYBODY aside from me get the joke of a band who’s ONLY recording is ‘Siberian Khatru’ having the name “Stanley Snail”? Really? Come on you guys! Wow…ok..so there is a lot here…I’ll go through some of it. OK..the Rock and Roll Hall of Fame. .yeah I agree that right now it seems very confusing and odd as far as who is playing and who isn’t. I think the best attitude..let’s wait and see. 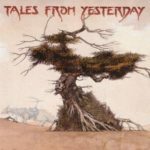 Now…the Tales from Yesterday album…I agree with you that if it wasn’t for Magna Carta we never would have had Liquid Tension Experiment. ..and group which I enjoy very much. ..and they also did give us a great Rush tribute with the “Working Man” album. It’s funny you mentioned “Mission”..that’s the one song on there that I can’t stand..haha…sorry Robert Berry…like I said..he is a great musician..no doubt about it but there is something about his arrangements that I don’t like. It’s just personal taste…just because I don’t like it doesn’t mean you can’t like it or anyone else. Essentially. .that’s my opinion on all the songs we don’t see eye to eye on…you have lots of valid points and I’m sure that there are lots of people who agree with you…but some of them I don’t. 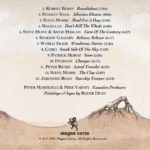 Magellan is a great band…I own one of their albums and really enjoy it…but I really don’t like what they did to “Don’t Kill the Whale”. Also Steve Morse…his recordings seem to be victim of time and money. These labels are known for having money…and usually rely on bands to do these recordings on their own time…sometimes during sessions for their own bands recordings. ..so I think he just whipped those two performances off and submitted them. Again I have no problem with them as I’m a huge fan of his playing and work. We can go on for ever with this but I’ll leave it at that. …hmm. .maybe I should answer these long comments on the podcast whenever I get them. ..anyways thanks again for your thoughts my friend. Take care. Even though I’ve not heard any of the tribute bands to whom you refer, JC yet again you’ve written a most entertaining read. Great to have highlighted (highlit?) the Stanley Snail pun. I love the names of tribute bands. For me the name is their way of sharing their fandom with fellow fans who are also fans of their tribute. 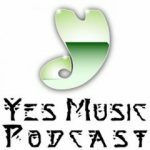 Here’s a link to a brilliant Genesis fans podcast which I recently discovered. It is an episode about Genesis tribute bands. Thanks, Jeremy, I value your opinion and appreciate your support. Previous Previous post: Anyone for ARW in London 19th March with David Watkinson?